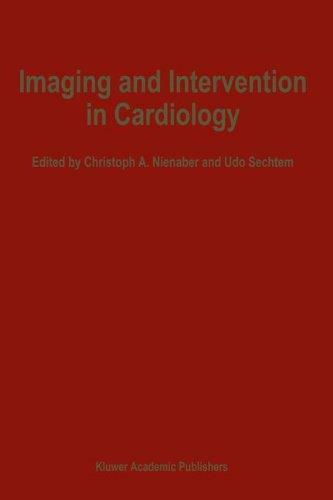 The concept of the book is to give clinicians and interventionalists a unique, up to the minute overview of the use of cardiac imaging techniques in combination with modern interventional procedures such as thrombolysis, catheter-based coronary revascularization, valvuloplasty and interventions in congenital heart disease. The book is divided into sections reflecting the types of interventions listed above. Each section contains several chapters describing how each imaging modality can be used before, during or after intervention to improve outcome, select the optimal interventional strategy or to simply foster our understanding of the interaction between disease and interventional therapy. 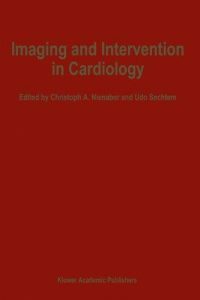 The idea of the book is to select a number of interventions and imaging techniques stressing scintigraphic and ultrasound techniques rather than producing an encyclopedia which would combine all possible imaging modalities with every type of cardiac intervention. The conjunction of interventional cardiology and an appropriate imaging modality is an interesting concept not only for diagnostic purposes and for the objective documentation of success or failure, but may also provide a significant contribution to quality control and thus indirectly to cost containment in the era of interventional cardiology.